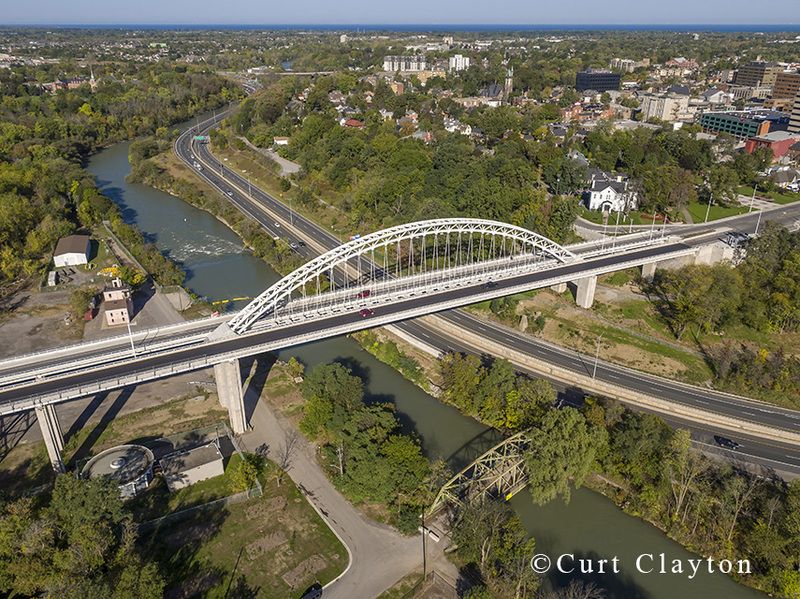 The Burgoyne Bridge spans 12 Mile Creek and Highway 406 in St. Catherine’s, Ontario. 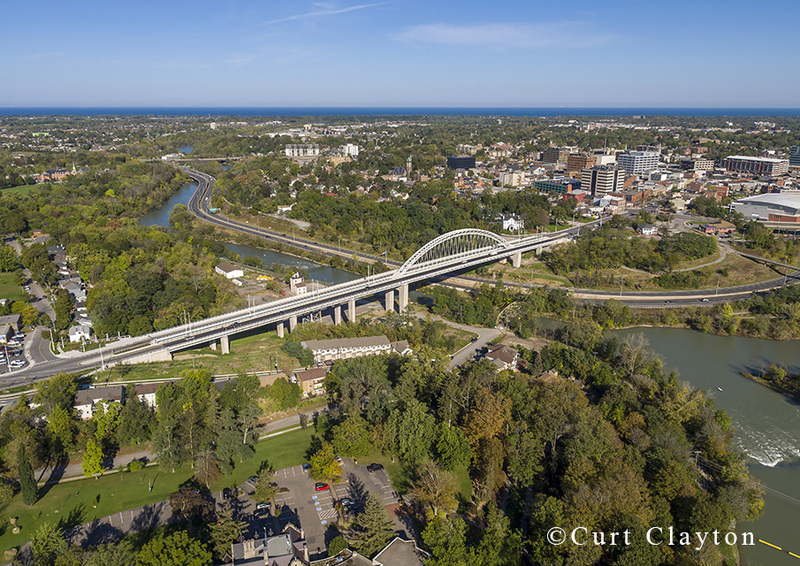 I was hired by Pomerleau Construction to photograph the completed bridge, which replaced a 100-year-old trestle bridge. 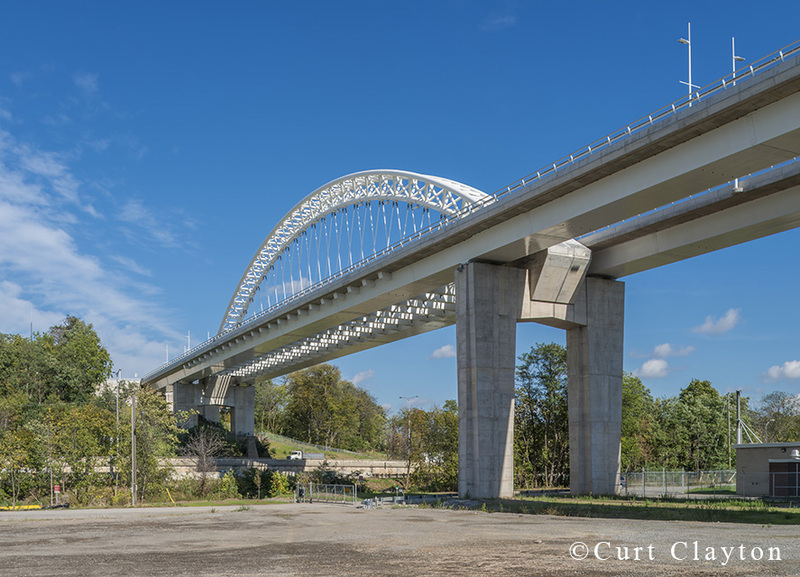 Construction of the new bridge took 2 years to complete and crews were just finishing the paving and lane striping of the road surface on the day of photography. 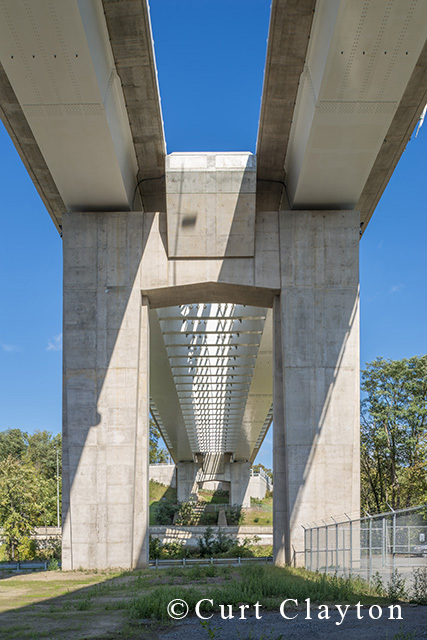 I wanted to produce both overall views of the bridge as well as a few tighter detail shots to highlight the engineering design of the bridge. A sunny day with calm winds provided ideal conditions for the ground level photographs that were done with a Nikon D800 and the aerial photographs done with a DJI Inspire 1 X5R. 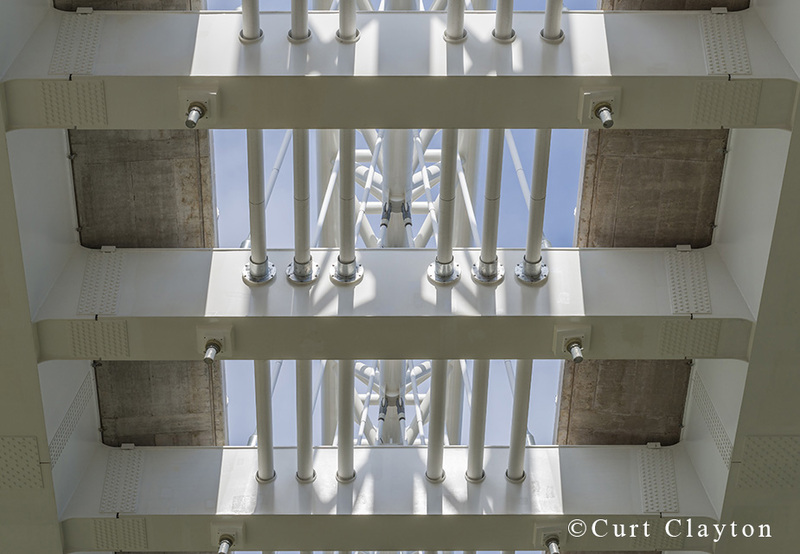 A variety of Nikkor lenses were used in photographing this project. The most used lenses were Nikon’s perspective control lenses, sometimes referred to as “shift” lenses. The 24mm PC-E, 45mm PC-E & 85mm PC-E were my primary lenses and I also used the 24-70 f2.8 and the (old) 80-200 f2.8 for a few of the shots. It is slower shooting with perspective control (shift) lenses but I like the control and it does save time in post production. 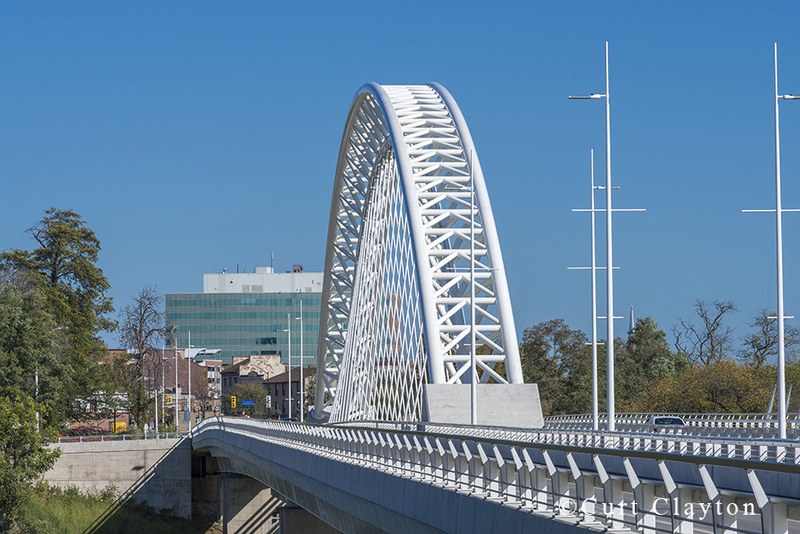 Walters Group: Fabricated & erected the truss elements for the arch. Aerial photograph from the east. Photograph from south side of 12 Mile Creek. 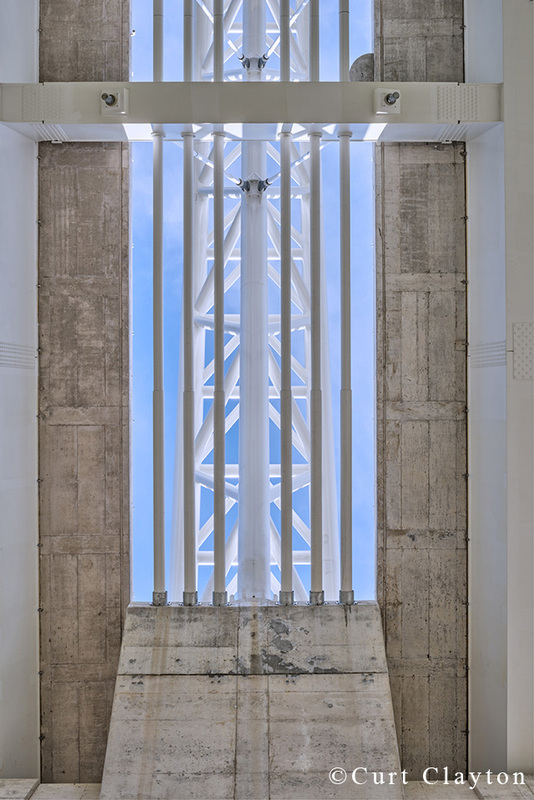 Detail photograph from beneath the bridge. 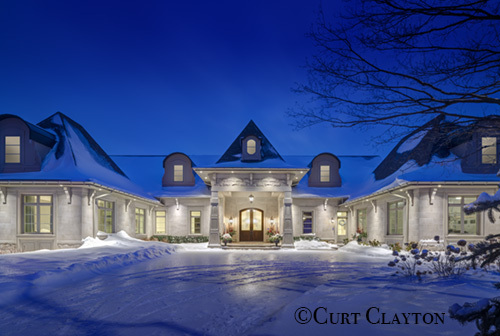 My goal for this project was to produce winter scenes of this house in southern Ontario. 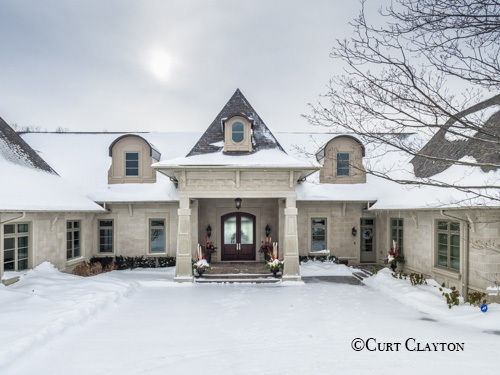 The stone and block on this beautiful home are manufactured by Arriscraft, the Stone Products Division of General Shale. I was hired by ad agency Creative Energy to to produce photographs that would be used in General Shale’s calendar and in marketing material for Arriscraft and General Shale. 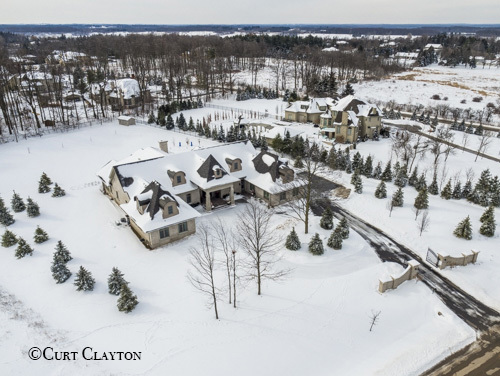 Aerial drone photography allowed me to produce overall views of house, property and surrounding area. 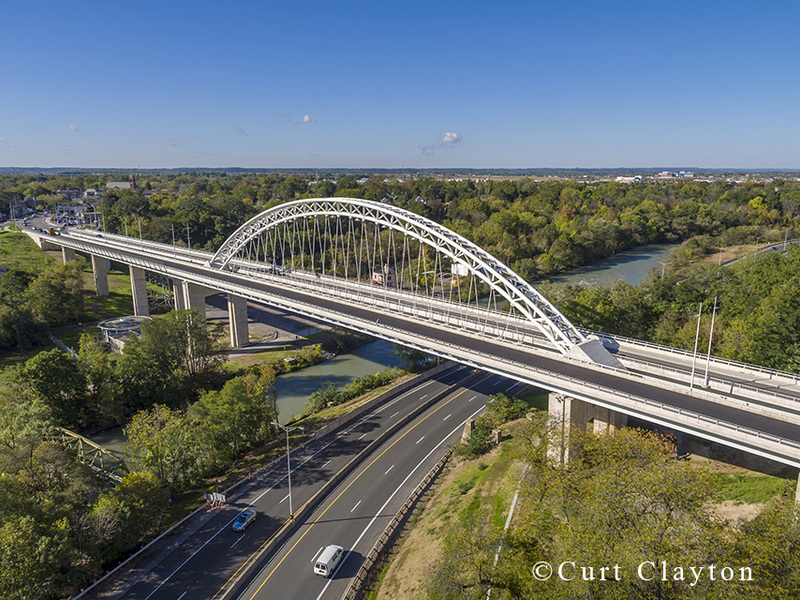 The ability to produce photographs that are just few feet above tripod height as well as detail photos of the upper levels of a building make drones invaluable for architectural photography. The twilight photography was shot with a Nikon D800 on a Manfrotto tripod. The aerial drone photography was done with a DJI Inspire 1RAW drone. 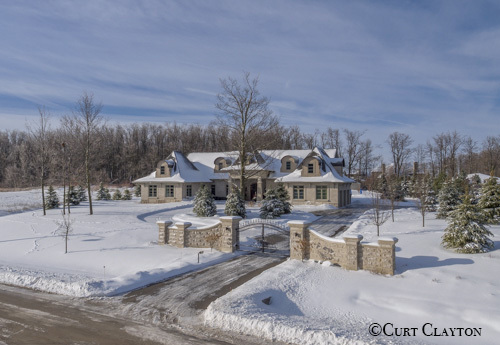 Exterior photography in the winter can have it’s challenges but this day was quite nice with temps just below freezing and almost no wind. The only challenge was the icy crust on top of 10 inches of snow made walking with a camera and tripod a slow process. The aerial drone photographs were done with a DJI Inspire 1RAW drone. 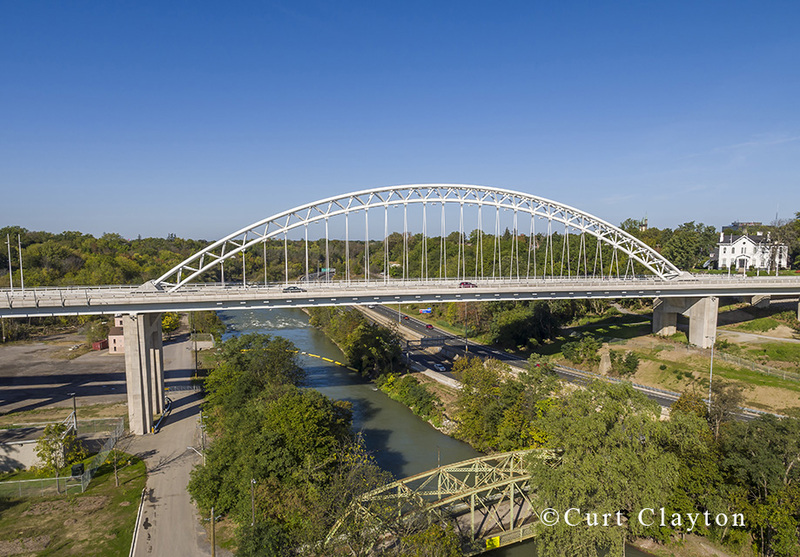 Aerial drone photography is perfect for a project like this. 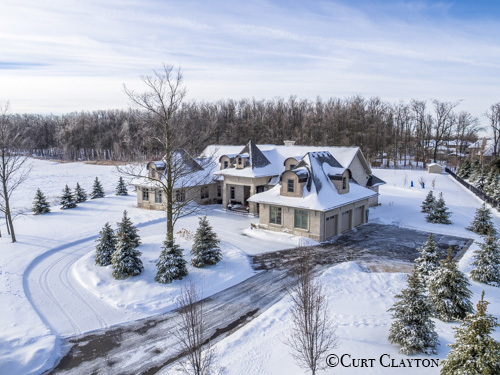 To shoot overall views of the house in the surrounding area I may take the UAV up to an altitude of 100 to 150 feet (30-50 meters), but for most of the drone photographs I like to shoot from very low altitudes. I find that the range between 15 and 50 feet is the altitude I use for the majority of my drone photographs of buildings. One of the benefits of shooting in the winter is the short day. Shooting from sunrise to twilight in mid summer can mean a 15 hour day while in late December that can be as short as 9 hours.